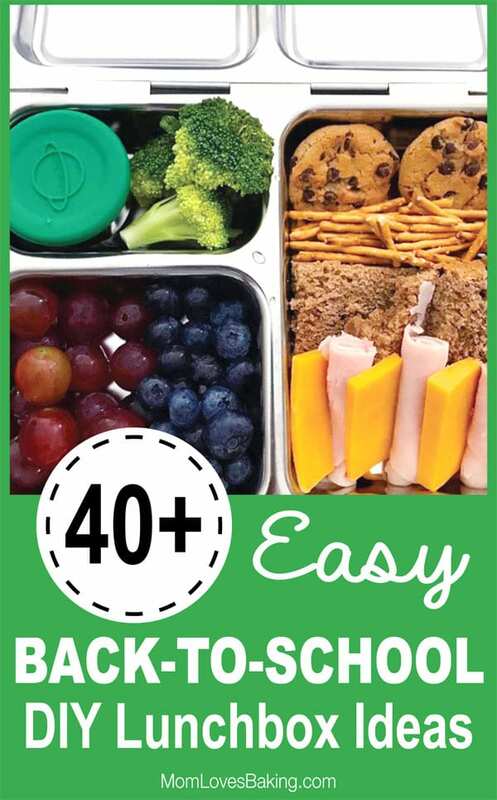 Back to school lunchbox ideas from Gretchen Howard of Iron Skillet Media. 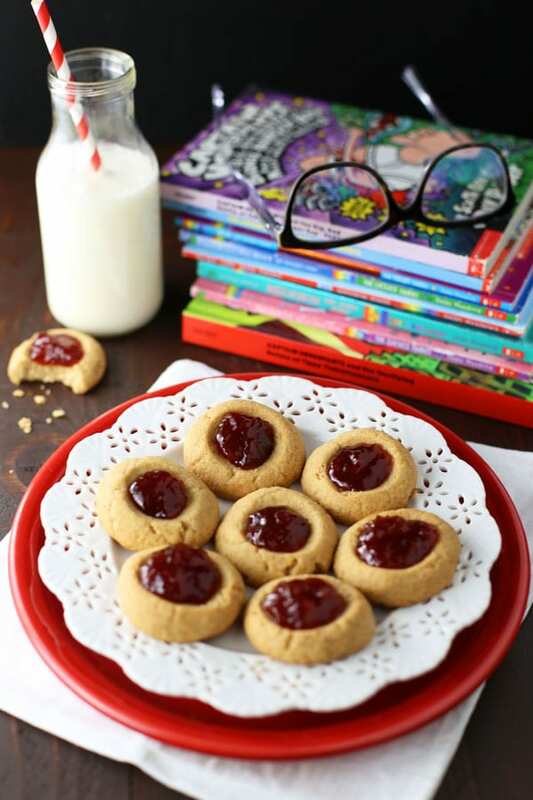 Hello, Mom Loves Baking readers! My mind is swirling around the fact that our kids go back to school August 2nd, so for my next post, I thought I would share some ideas for packing school lunches. 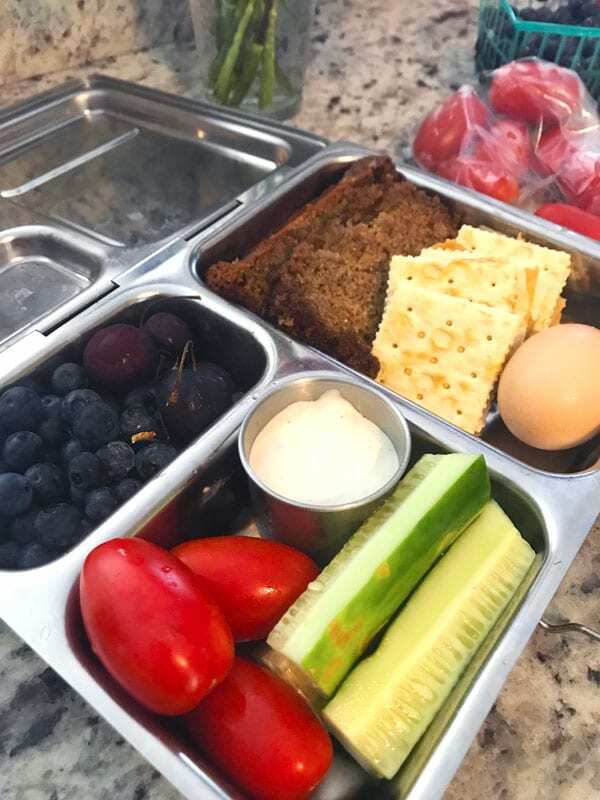 It’s important to me that my kids eat a healthy, nourishing lunch every day, and with a little preparation and planning, packing lunches can be tolerable and even enjoyable. So to begin with, I want to share my plan of attack, and then I’ll share some specific menu ideas. 1. Plan out school lunches for the entire week on Sunday. Having a plan takes the stress out of the question, “What should I pack the kids for lunch tomorrow (or in the next five minutes! )?” Make your lunches the night before. This will take pressure out of your mornings, especially when your first kid’s bus picks up at 6:50 AM! 2. Invest in a lunch box that you love. I have tried many over the years and have landed on my absolute favorite: Planet Box. 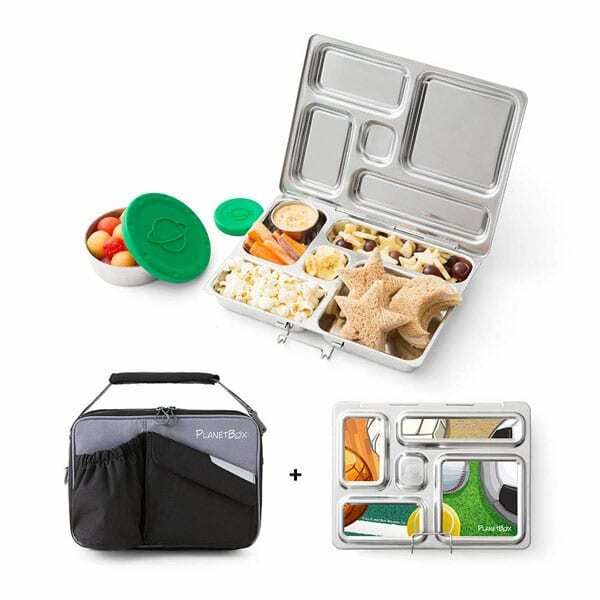 It is stainless steel Bento box and extremely durable, is easy to hand wash and is dishwasher safe, and it solves the problem of searching for matching Tupperware and lids (something I struggled with for years). 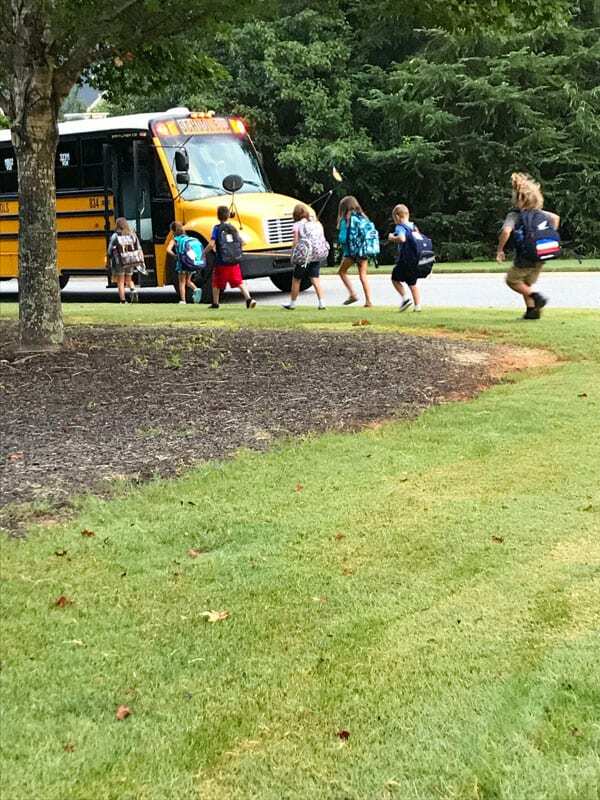 We used them every day for the entire school year last year, and they are as good as new- ready to go again for the school year ahead. Planet Box also has fun, interchangeable magnets, so I know which box belongs to which kid. I put the whole box into a lunch bag along with a frozen ice pack to keep things fresh. 4. I pack a main course, a fruit, a vegetable, a snack and a treat. I’m including some ideas for each category below. Keeping it simple and easy is a priority! 5. Have kids help with preparation the night before. Also get them in the routine of emptying and cleaning their lunch boxes out as soon as they get home from school. 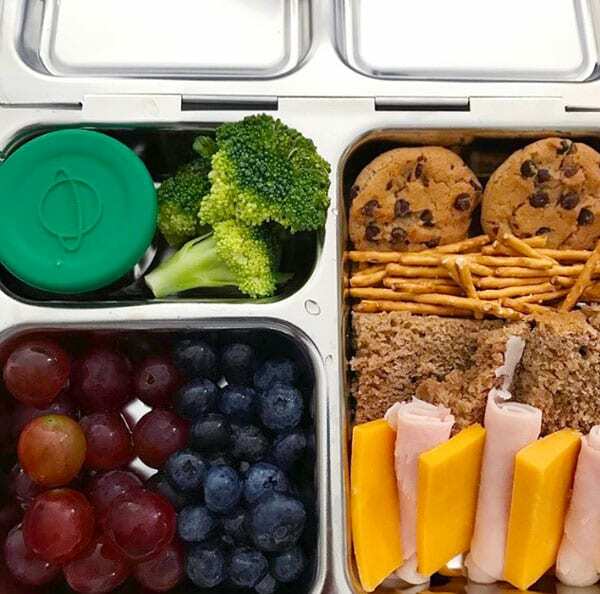 Here are some back to school lunchbox ideas for each category. I keep a list on my computer that I refer to when planning for the week. My kids usually have one snack break during their day. For this, I send a granola or energy bar – Lara Bars and Cliff Bars are my favorites! No Bake Protein Bites from The Family Palate. 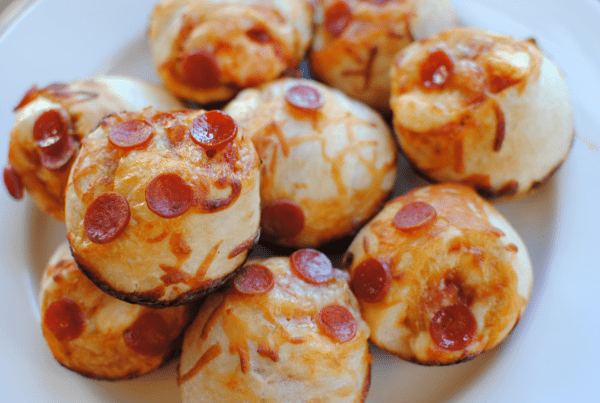 Stuffed Pizza Cupcakes from Penny Wise Cook. Wishing each of you a smooth and happy back-to-school season! 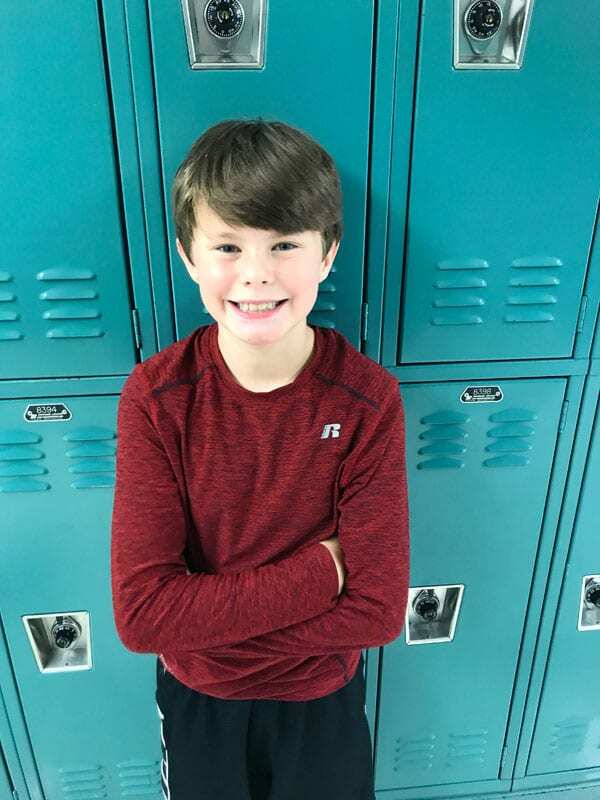 Here’s my son, Sutton, getting his first school locker (and where lunch is stored until lunchtime). Read more about Gretchen on our Meet the Team page. 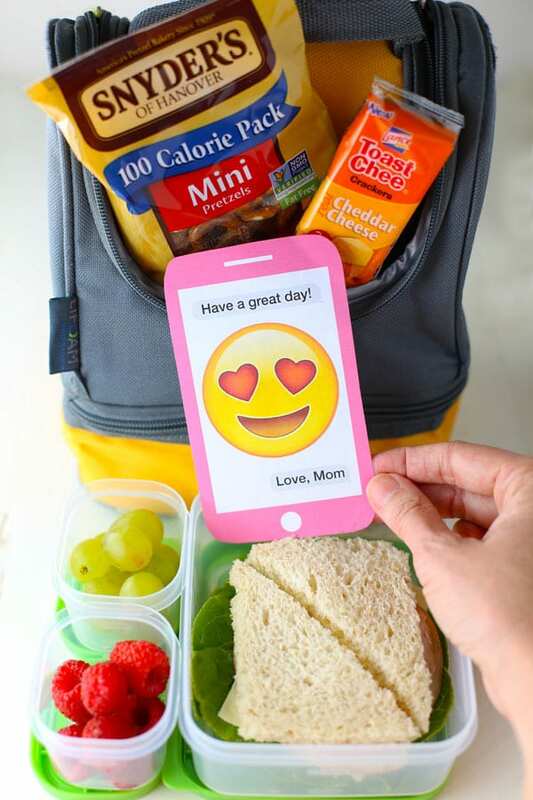 You might also like these Back to School Lunch Love Notes. p.s. Please note that this post includes affiliate links.